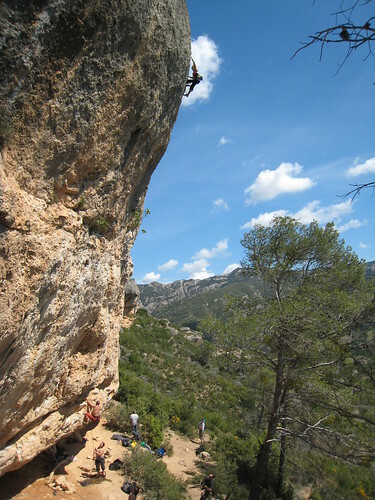 Margalef, the little valley on the west side of the Montsant mountain close to Siurana, boasts some amazing climbing. Here you have > 600 routes from grade 4 to the latest Sharma 9a+ test piece. Here the american Sasha DiGiulian (born -92) easily sends Transilvania, 8a. I like that the little cloud showed up just as she was pushing through the final crux. Tagged with margalef, Photos, sport climbing.